This is what I am going to be spending some time doing. I started yesterday cleaning and rearranging my kitchen. I always get the cleaning/reorganizing bug around the holidays. Finding room for our new stuff and weeding out what hasn't been used. Also, try to maximize the space and flow of my home. So I am trying to take it in small chunks.....so I don't get overwhelmd and give up. My goal is to get through the whole house cleaning and decluttering!!! Wish me luck. Anyone else get this way around the holidays? Definitely! I took everything out of the kitchen drawers yesterday...cleaned out, organized, threw away, etc. It feels so good to get things organized! I do. I've been doing the same thing since Sunday. Little steps. I'm the same way! And for some reason this year I'm in the mood to redecorate. Luckily it's nothing that a little craft paint can't handle because after Christmas we definitely don't have the budget for new things! I'd be like you and cleaning up a storm right now but I'm on crutches with a broken ankle. I get that way after the holidays too, clean clean clean...and declutter! i swear we were separated at birth. 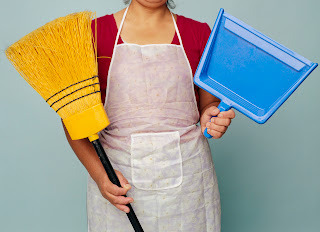 i did a pre-post to come out in a couple of days that's about January cleaning versus spring cleaning! So, my (very long) answer is "yes."